Welcome to Luke James Hairdressing, Liverpool (- Formerly Parker and Dicce Express). 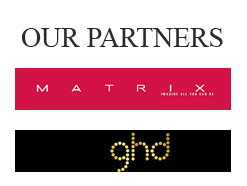 We are a professional salon that specialises in Matrix colour professional cut and colour. We also provide cutting, colour correction and hair botox (amazing hair filler that repairs damaged / weak, over-worked hair lasting 6-8 weeks.) See our services page for a full list of services we provide. We promise as a salon; any last minute appointments will always be welcome. We pride ourselves on a very friendly atmosphere and we guarantee that you will never go away from our salon feeling disatisfied. New clients are always welcome.